We calculated spin by tallying all clearly positive and negative statements from non-partisan sources (in other words, reporters, anchors, voters and other unaffiliated sources). 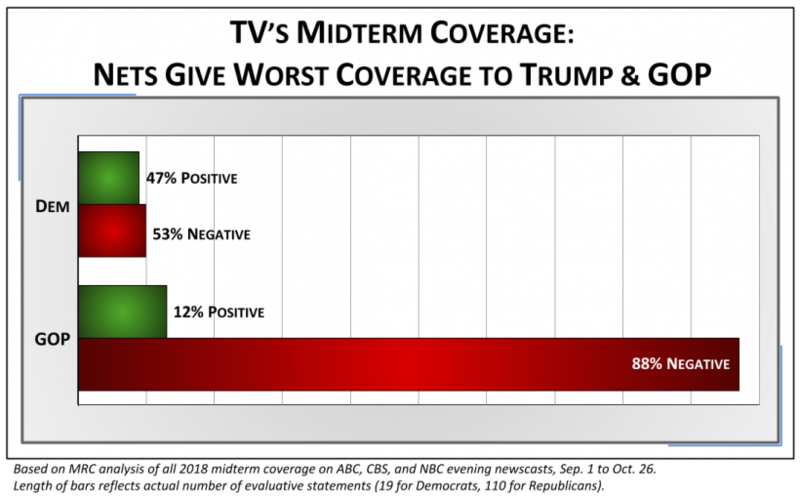 This excludes coverage that merely reflects the partisan back-and-forth of the campaign, in order to isolate the spin being imparted by the networks themselves. It also excludes “horse race assessments” about the candidate’s prospects for winning or losing. And, again, Noyes can't be bothered to post the raw data so readers can double-check his almost certainly biased pronouncements of what constitutes a "negative" or "positive" statement, or expl;ain why neutral coverage wasn't factored in, or explain whether he thinks "negative" coverage can be the most accurate way to cover a given story, or whether he believes all stories must be "balanced" whether or not the story warrants it. But dubious methodologies and murky data are how the MRC's "research" rolls.